The inaugural Malaysia Top E-Commerce Merchant Awards 2016 culminated in a grand celebration last Saturday, 9th April, as e-commerce industry players and e-merchants gathered at the Empire Subang Hotel alongside Sith Lords and Jedi Knights. All this fanfare was to commemorate the champion, runners-up and finalists of the country's very first official e-merchant awards, organised by the Selangor Information Technology & E-Commerce Council (SITEC), with the support of industry partners, Invest Selangor and the Malaysia Digital Economy Corporation (MDEC). Y.B Dato' Teng Chang Khim, Senior Councillor of the Selangor State EXCO; Ms. Wee Huay Neo, Director of eCommerce Enablement, MDEC; Mr. Hasan Azhari, CEO of Invest Selangor and Chief Executive of SITEC, Yong Kai Ping graced the event, and spoke about the place e-commerce has in the future of the country. The Top EC Merchant Awards is a prestigious award - and the first of its kind in Malaysia, that seeks to inculcate the spirit of competition and the provision of high service quality amongst e-merchants, rewarding the most successful, creative and innovative homegrown e-merchants with cash and other prizes. "We're interested in setting quality standards, and increasing competencies. We also want to reward good performance by industry players. Today's event celebrates that ideal as we are here to witness the success of our very own homegrown Malaysian companies. Competition is not always a bad thing, and in this case, the buzz and publicity generated from this grants otherwise 'silent' merchants the hype they need to elevate their businesses to the public and national sphere," shared Y.B Teng Chang Khim. "The road towards popularising e-Commerce cannot rest on a single agency or merchant or marketplace. We need to create an ecosystem to cultivate more creativity, build human talent and attract consumer attention," said Mr. Yong Kai Ping, Chief Executive of SITEC. "Selangor is the first state to really drive the e-Commerce agenda. e-Commerce is relevant to everyone and everything, and contributes 5.4% to the GDP of Malaysia," shared Ms. Wee Huay Neo, Director of e-Commerce Enablement, MDEC. Comparatively, e-Commerce in Taiwan contributes 15%, while US's e-Commerce contributes 35% to their overall GDP. "The time is ripe for us to accelerate, and think bigger in expanding regional trade through cross border trading. Although there are still a lot of challenges, we have the advantages of language and geographical position, where Malaysia can become a springboard for companies to expand their businesses in SEA, India as well as the Gulf region," Yong added. Malaysia's finest e-commerce merchants have been picked by both the public and a panel of 12 judges. Votes from the public carried a 50% weightage in the judging, with the remainder 50% up to the judges, who rated participants on a point system for each criteria. E-merchants who have participated are pivotal in making history by being pioneers of the definitive awards for the booming E-Commerce industry in Malaysia. 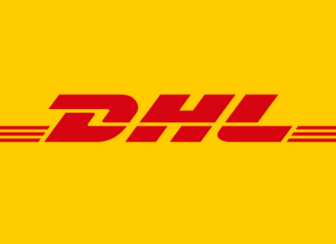 Additionally, the prestige that comes with being a finalist can be considered a direct reflection of a store's credibility, reliability and reputation, distinguishing them from their competitors as a paragon of excellence in the e-commerce sphere. "In order to achieve sustainability of our projects and initiatives, it is crucial that we develop and nurture appropriate human capital and talent. It is here that SITEC flourishes, as they excel in the training and cultivation of human talents to fill the vacuum we're facing in the e-Commerce scene," opined Y.B Teng Chang Khim. "There is no other government in the region like Malaysia, who shows full support of local merchants through interactive private-public partnerships to grow the industry," added Yong Kai Ping. The Selangor government is seeking to architect an ecosystem that is conducive to the cultivation of entrepreneurs, whom they want to encourage and attract to engage in cross-border trading. "One of the ways we aim to do this is by spearheading an initiative to fast-track Malaysians into the global Halal market through the establishment of a universally-recognised "Halal Standard". The Halal market is worth an estimated RM 7.8 TRILLION (USD 2 trillion), and is a great way to improve Malaysia's position on the global front, on top of generating value and increasing our GDP," added Teng. All in all, SITEC received over 70 entries for the competition, where 60 were shortlisted and competed for the grand prize. Following rigorous examination by our judges and the tallying of over 30,000 votes from the public, the Selangor Information Technology and E-Commerce Council (SITEC) is proud to present to Malaysians their Top E-Commerce Merchant for 2016. 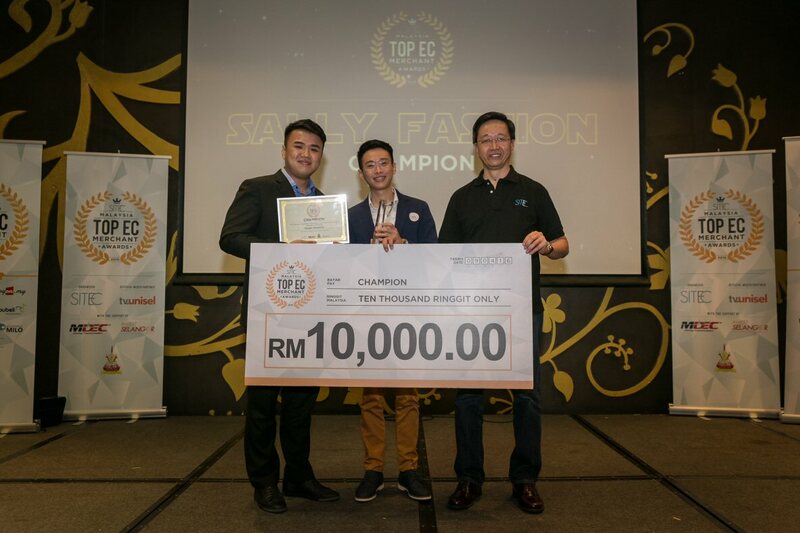 As announced by Y.B Dato' Teng Chang Khim, Senior Councillor of the Selangor State EXCO during the gala dinner and awards ceremony, leading the ten finalists as Malaysia's Top E-Commerce Merchant for 2016 is Sally Fashion, a local fashion e-tailer that has been providing over 8,000 item choices in womens' fashion to buyers since April 4th, 2012. Sally Fashion took home RM10,000, a trophy, and a certificate. Following Sally Fashion is 1st runner-up Gundam.my, an online merchant that has been selling toys and models with the Bandai brand to Malaysians online since 2010. Gundam.my brought home RM5,000, a trophy, and a certificate. The spot for the 2nd runner-up is taken by DIYPrintingSupply.com, which offers printing supplies, materials, and services. The company has been around since 2008. DIYPrintingSupply.com took home RM3,000, a trophy, and a certificate. The remaining 7 Finalists are ShaShinKi, 123Cheese.my, Aone Plus, Satu Gadget Dot Com, i-Pmart, Printcious.com, and Game Hypermart, with each taking home RM1,000, a trophy, and a certificate. In addition to all the prizes they brought home, each of the ten companies were also given a year's use of the co-working space at the Selangor Digital Creative Centre (SDCC) for free, as well as being able to tap the experience of industry leaders for advice and guidance. 3 of the top 10 winners are powered and supported by Silver Mouse, a Malaysian-based marketing agency specializing in Digital Marketing, Creative Design & E-Commerce Services. The judging panel was made up of prominent names and major players representing different areas in the e-commerce scene. Hans Peter Ressel, CEO of Lazada Malaysia, Hoseok Kim, CEO of 11street, Adrian Foong, GM of Lelong, Bernard Yap, Chief Digital Officer of Logon.my, Andy Lau, CEO of Youbeli represented the e-marketplace segment, while Chan Kok Long, CEO of iPay 88 and Eng Sheng Guan, CEO of MOLPay, represent payment gateways. Other major players included CK Wong and Adrian Oh, the co-founders of eCommerceMILO, Chan Kee Siak, founder and CEO of Exabytes, as well as Chief Executive Yong Kai Ping and EC Class Manager Goh Boon Peng representing SITEC. This strong and overwhelming interest in e-commerce is a strong sign of the popularity and growth of e-commerce in Malaysia. In 2015, the Malaysian e-Commerce market size was estimated to be worth around USD 2 billion (RM 7 billion), and that number is set to grow, making industry standards and regulation all the more necessary in this increasingly digitized age of consumerism.